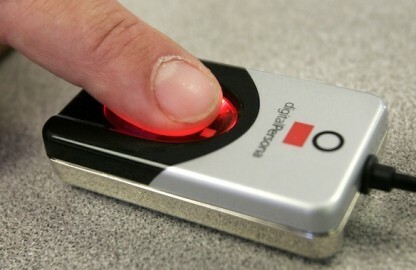 Three counties have fought to opt out of a fingerprint-sharing program. Immigration and Customs Enforcement official David Venturella started off a meeting with San Francisco law enforcement leaders on Tuesday with an apology. ICE, he admitted, had given conflicting information about Secure Communities, a program that shares fingerprints taken for criminal background checks with federal immigration enforcement, and whether counties like San Francisco could opt out. The meeting was one of three held in the past week — with officials from Arlington, Va., on Nov. 5, and from Santa Clara, Calif., later on Tuesday — between ICE and communities that had voted to be removed from the program, claiming it could harm public safety and lead to fear of police among immigrants. In all three, the message was the same: Venturella, the assistant director of Secure Communities, acknowledged there had been reports from ICE that the program was optional and that such meetings were the first step in opting out. But the counties could not withhold information from federal immigration authorities, he informed them. The message on Secure Communities and whether or not counties could be removed from the program has changed multiple times in the last six months, as local officials in Arlington, San Francisco and Santa Clara sought to determine how they could opt out of sending fingerprints to immigration enforcement. Now, even after ICE held meetings with the three counties confirming that opting out is impossible, a coalition of civil rights groups is fighting to get more information on the program and how communities can avoid joining it. The key, according to activists, will be a Dec. 6 hearing on an injunction filed against the Department of Homeland Security last month by the National Day Laborer Organization Network, the Center for Constitutional Rights and the Immigration Justice Clinic of the Cardozo School of Law. A court in New York will decide whether Homeland Security officials have to hand over documents demanded by the groups in February related to opting out. With those documents, critics of the program hope to be able to prove what Venturella alluded to at the beginning of the San Francisco meeting: The agency has been misleading the public — albeit perhaps unintentionally — about how Secure Communities works and what it requires from local police forces that would rather not share fingerprints with immigration officials. “What their public definition of ‘opting out’ is has changed based on what they think they can get away with,” Chan said. Officials in 34 states have signed memorandums of understanding to participate in the program, which so far is voluntary at the state level. (Some governors, such as Democrats Deval Patrick in Massachusetts and Bill Ritter in Colorado, have delayed requests to sign into Secure Communities, while other states are slated to join the program in the next few years.) There was indication from ICE officials this summer that local participation was also optional, even in states where governors had agreed to participate. On Aug. 17, ICE released a report called “Setting the Record Straight” that laid out specific steps for counties that wanted to opt out of Secure Communities. The steps were later reiterated in letters by Homeland Security Secretary Janet Napolitano and an assistant attorney general. But a sudden message shift on Secure Communities occurred in the beginning of October. Immigration officials began to say opting out was impossible. “We don’t consider Secure Communities an opt in/opt out program,” Napolitano said on Oct. 6. By Oct. 20, the report called “Setting the Record Straight” went missing from ICE’s website. The options presented to Arlington, San Francisco and Santa Clara were far from what the counties expected when they voted to opt out. In a memo to Arlington County board members after her Nov. 5 meeting with ICE, County Manager Barbara Donellan clarified ICE’s definition of opting out of Secure Communities. “All jurisdictions have the option of not receiving the results of ICE’s database inquiries. (This option is what ICE officials were referring to as the ‘opt out,’ for localities, and they acknowledged the confusion these statements have created),” she wrote. For critics of the program, the new message that Secure Communities is mandatory is a major problem. “If ICE for some reason decides not to follow through, I think we’re looking at possible massive deception,” Sarahi Uribe, lead organizer of an anti-Secure Communities coalition called the Uncover The Truth Campaign, told TWI in October. ICE officials said Tuesday that the holds they place on illegal immigrants detected under Secure Community are optional for local police — meaning law enforcement agencies could ignore detainer requests from ICE and release immigrants they do not charge with crimes, said Eileen Hirst, a spokeswoman for San Francisco Sheriff Mike Hennessey who was at the meeting Tuesday. This entry was posted in Press (California), Press (Virginia), Press Coverage on November 10, 2010 by Ian.